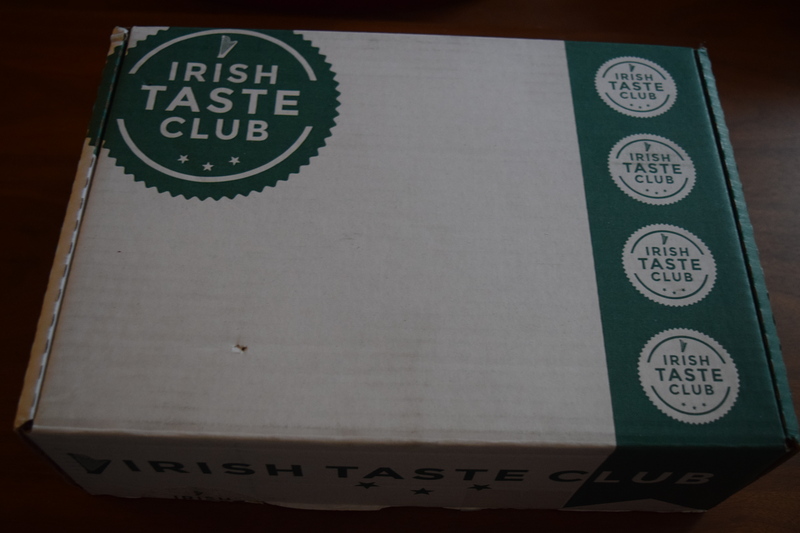 Today I’ve got some more fun with food with my review of the July Irish Taste Club box plus an extra special coupon for 10% off when you sign up (use code therapy10). 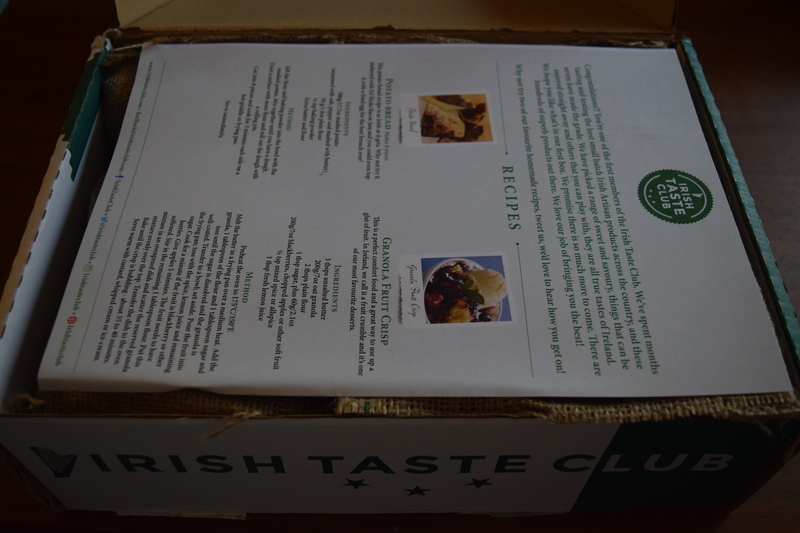 If you remember from my last review, Irish Taste Box, features sweet and savory treats all the way from Ireland. For details on the pricing jump down to The Backstory. 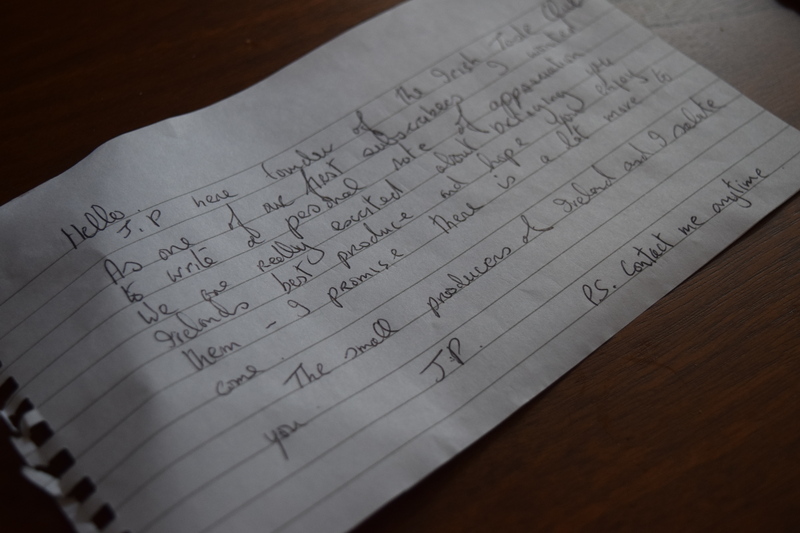 The lovely box included a handwritten note to subscribers, which was a thoughtful touch. Apparently this is the first box for subscribers, so I’m assuming my previous one was a trial run. Now let’s get to the goodies! 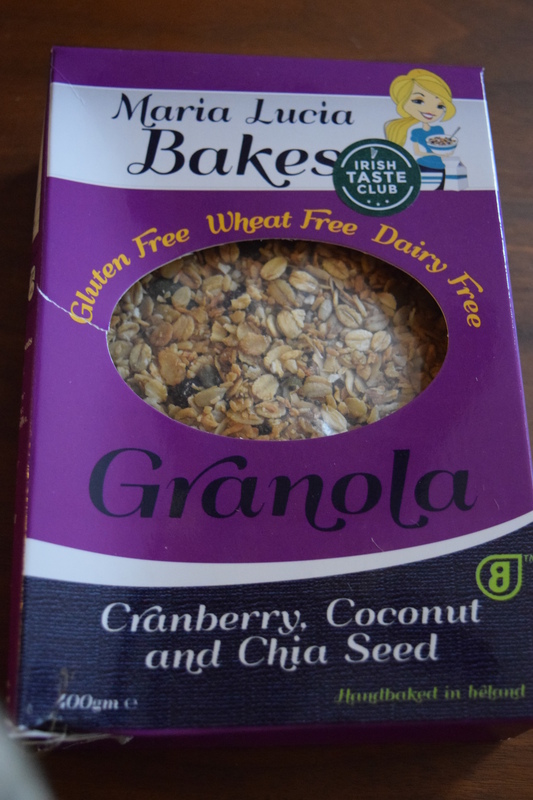 This was a really nice granola chock full of healthy things, I didn’t find it all that different from what we have available in the US, but still good. I’m taking it to work to sprinkle in my morning yogurt or oatmeal. This is quite a large box so this should last me awhile. According to my insert, this was supposed to be “Ed Hicks Bacon Jam”, (Bacon Jam!!!!!) so I don’t have any info on the Original Sauce. Instead it’s tomato sauce? Which I think might be what we think of in the US as ketchup. I am sort of a ketchup addict (although my heart belongs to Heinz) so theoretically this would be a good addition for me, but I can’t keep thinking that I missed out on bacon jam. Mmm, bacon jam. It looks like this is available at Wegman’s so if you’re lucky enough to be close to one, you can try this out for yourself. There is never anything wrong with sour cream and onion chips. I gave these to my boyfriend (because I’m the awesomiest girlfriend ever) and he enjoyed them quite a bit. 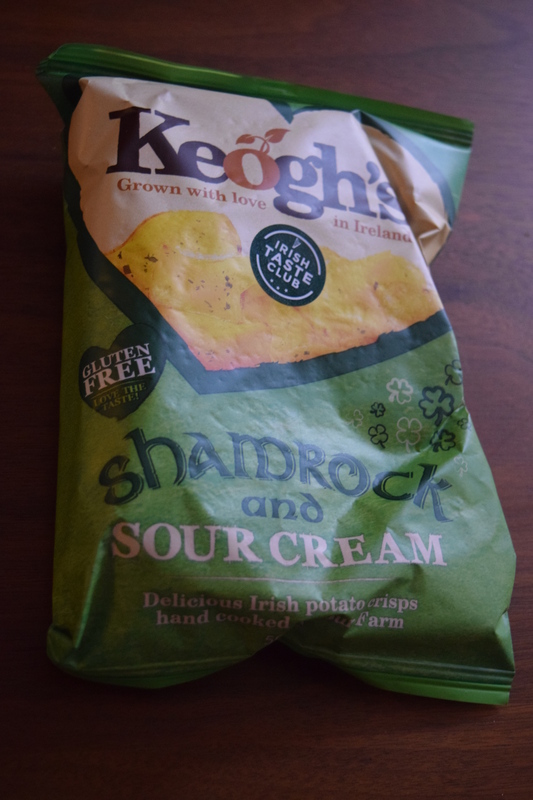 Unsurprisingly, Irish folks know how to make a tasty potato. 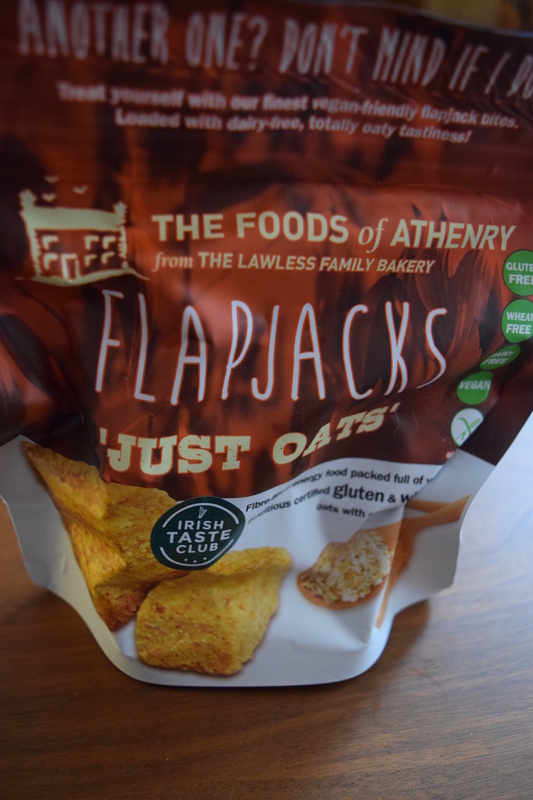 Description: “The flapjacks from the Foods of Athenry are part of a massive range of oat-based goodies form the multi-award winning Galway producer. We think they’re great for kids/ lunchboxes and to have the cup of the iconic SD Bells Belfast Brew tea. They’re also good crumbled up over fruit and baked as a Crisp. SD Bells supplied the Titanic with dry goods including tea! The company is Ireland’s oldest Tea Importer and Coffee Roaster. 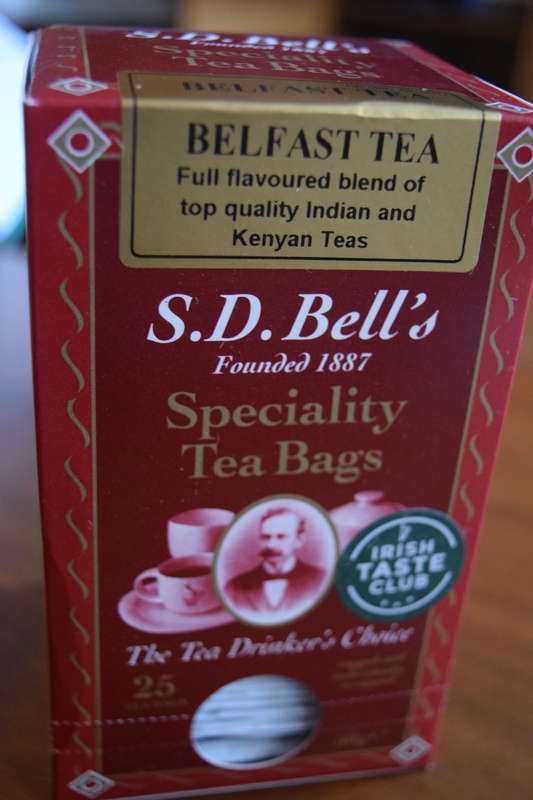 The Belfast Brew cuppa is a perfect blend example of Indian Orthodox Leaf. It’s strong and that’s how we Irish like our tea. It’s best taken with a little milk.”. Verdict: Miss for the Oats, Hit for the Tea! I found the Flapjack treats to be a bit dry and not as flavorful as I would like, but the insert included a recipe for a granola fruit crisp, so I may try it out in that capacity instead. I didn’t get a chance to try the tea yet, but I love that it’s the oldest tea importer and actually supplied the Titanic. I think this will be a lovely treat as the weather cools and we head toward Fall. 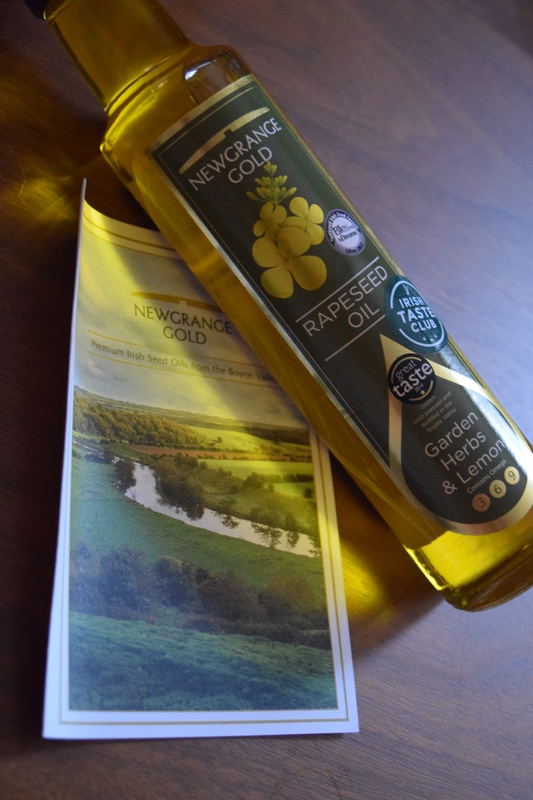 I enjoy cooking so I always love getting seasonings and oils from other countries to try out in my dishes. I think I might try this out in a Mediterranean style orzo salad. I like that there was a dessert component and I brought this with me to a summer BBQ to share. Some folks loved it, others thought it had a sort of lemon pledge vibe. 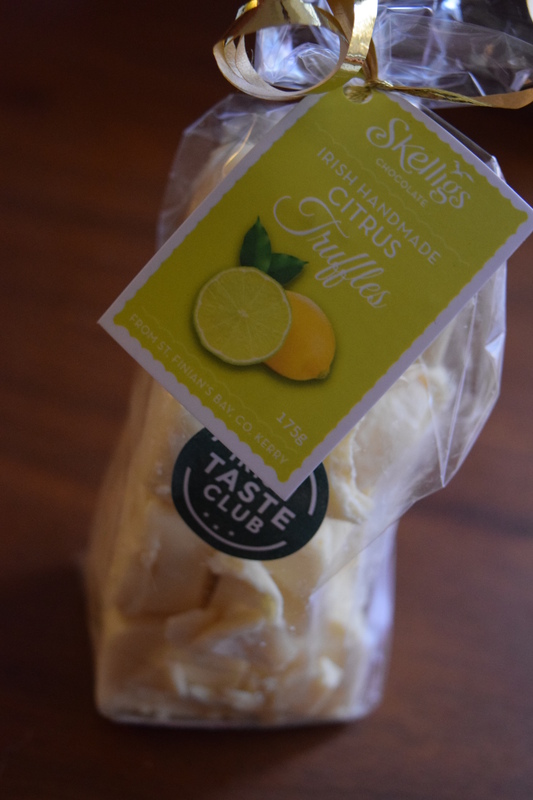 I thought the citrus flavor was a lovely addition for summer and a unique truffle to offer. I received this box for free, but it would have cost me $44. I think that considering that most of these products are very difficult to find in the States, it’s a solid value. I am super disappointed though that I didn’t receive the bacon jam that was listed. I’d also love to see more recipes and uses for the ingredients (there were only two and one was to be paired with the missing bacon jam). It will be interesting to see the unique items this sub offers in the coming months. Do you enjoy food boxes and food subscriptions? Have you tried any yourself? 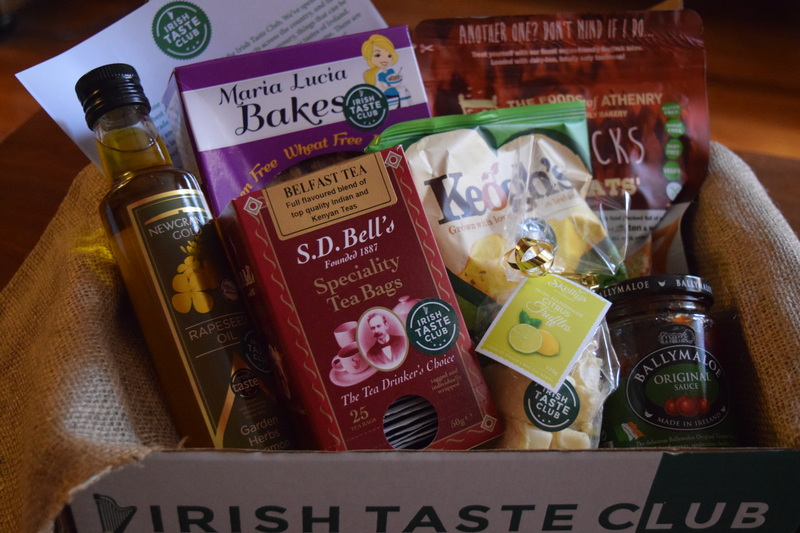 Each month, Irish Taste Box will send 7-9 sweet and savory products including handmade chocolate, artisan jams and chutneys, baking mixes, and specialty condiments sourced directly from Ireland’s finest independent producers. Each box will feature an explainer card giving exclusive recipes for our products and the inspirational stories behind their producers. 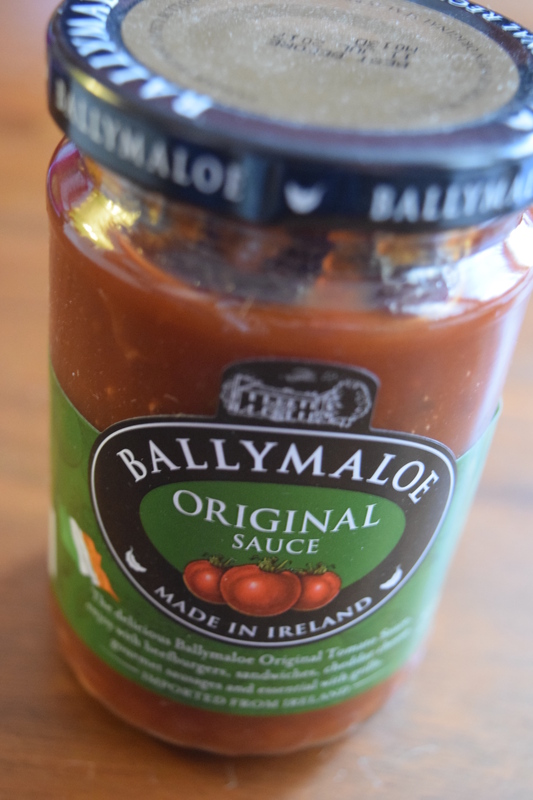 It’s like an Irish farmers’ market direct to your door! Cost: $44 per month, $120 for 3 months, or $420 for 12 months. Previous article	← Popsugar: May 2016 & Fall Limited Edition Presale! Sounds like it would be right up his alley!